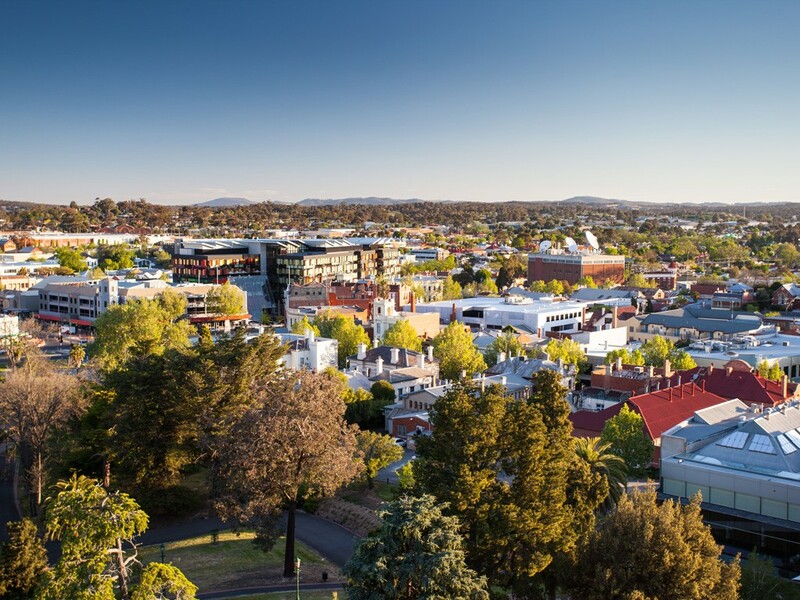 An established and working infrastructure and land initiative for one of Victoria’s fastest-growing regional cities has been recognised for its contributions to liveability. Receiving a commendation at the recent Planning Institute Australia’s (PIA) National Awards for Planning Excellence, the Integrated Transport and Land Use (ITLUS) Plan from the City of Greater Bendigo has helped the major urban centre to meet its future transport, development and housing needs. The jury acknowledged the project’s “commitment to real change”, pointing out initiatives such as the Bendigo Metro Rail concept, and the collaborative and community-based approach that was taken. Greater Bendigo was formed in 1994, when six former local government areas were amalgamated. It now embraces an area of about 3,000 square kilometres and includes urban Bendigo, numerous small townships, agricultural areas and forested public land. The ITLUS acts as a guide for where urban growth takes place, and plans for the type and level of transport infrastructure and services needed both now and into the future. Similar to Launceston’s City Deal, the ITLUS intends to make the city it serves one of Australia’s most liveable regional cities. Originally established in 2011, the City of Greater Bendigo together with VicRoads developed the Draft 2011 Bendigo Road Transport Strategy. Unlike the current plan, this strategy only proposed works to increase road capacity with a view to tackling peak hour congestion, reducing delays and improving safety. However, the Bendigo community’s response was to reject the idea of more and wider roads. In 2015, the ITLUS was created. The new plan recognised that the issue went beyond simply moving more people between A and B. “Following strong community opposition to a draft roads strategy, the City of Greater Bendigo embarked on a four-year process to develop an integrated transport and land use strategy that has led to a complete ideological shift in the way Bendigo sees itself as an integrated and sustainable community,” reads the PIA awards’ jury citation. The ITLUS was born out of the community’s recognition that realistic and viable alternatives are possible, but also that a concerted and cooperative approach was needed. Like cities and towns all over the world, Bendigo has faced and continues to face numerous pressures. Specific issues facing the region include managing population growth, lifestyle-related health issues, climate change impacts and motor vehicles consuming a large part of people’s incomes. For instance, allowing 25,000 additional dwellings to be built in an ad-hoc manner over the next 25 years on the city fringes would mean that Bendigo’s urban edge would balloon outwards, further increasing car dependency. Since Bendigo’s employment is centrally concentrated, the mismatch between employment and residential areas would increase. Traffic volumes would also likely increase, liveability would be threatened, and providing public transport services to these developments would be expensive. Additionally, health costs would continue to rise and arable land, treasured environmental areas, biodiversity and habitat would be replaced by urban development. With five overarching themes, the ITLUS addresses – and hopes to minimise – these future issues. The five themes are Connecting Greater Bendigo, Healthy Greater Bendigo, Moving Greater Bendigo, Engaging Greater Bendigo, and Inspiring Greater Bendigo. Connecting Greater Bendigo prevents urban sprawl, and instead aims to strengthen connections between people and places. This responds to the community’s aspiration to live in a ‘series of linked, sustainable neighbourhoods that provide a range of living, working and transport opportunities for all, surrounding a more urban city centre’. The second theme of the ITLUS is improving health and wellbeing through better public transport and more active travel. Healthy Greater Bendigo is creating socially-connected and economically-vibrant places with better quality footpaths, bike paths, buses and train services – improving overall wellbeing. Moving Greater Bendigo uses the capacity of Bendigo’s networks to better move people and goods. The theme recognises that the use of cars will continue into the foreseeable future, and therefore aims to minimise growth in traffic congestion by focusing on using Greater Bendigo’s existing road network more efficiently and by moderating car use. Engaging Greater Bendigo changes individual travel behaviours through strengthening partnerships and building community support. This is key to implementing a positive change in the way people get around Greater Bendigo and the way the city’s urban form evolves. The success of the transport and land use responses outlined in the ITLUS is highly dependent on a generational shift, and a change in culture and perspective. The community identified ‘inspirational’ as a key value for the ITLUS and Greater Bendigo to embrace. The community’s aspirations for public transport, health and wellbeing, the natural environment, economic development and a desire for equitable access are ambitious. Achieving these aspirations involve incremental change, being prepared to try new ways of doing things and the support of all levels of government in partnership with other stakeholders and the broader community. Many of the actions are currently in progress, with some also completed. An updated progress report from 15 March can be found here. The implementation process is set out using three time periods – short-term (present), medium-term (actions which cover the period 2020 to 2030), and long-term (actions which cover the period 2030 and beyond with Greater Bendigo reaching 200,000 residents).